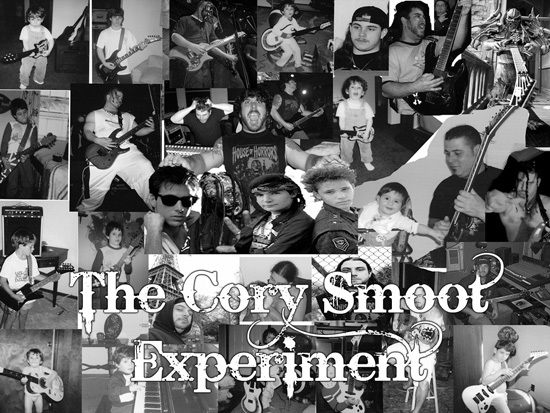 The Cory Smoot Experiment was recorded in 2010 at Cory’s Karma Studios, where GWAR, Municipal Waste, and many others have laid down tracks. The songs were originally meant for a concept album called “Religion is Fiction”. Cory was going to record all the tracks and then get some of his favorite singers from the internationally-acclaimed Richmond metal scene to do the vocals, including GWAR lead singer Dave Brockie and Lamb of God’s Randy Blythe. Unfortunately, this didn’t happen due to scheduling problems but that didn’t mean the end of the project. 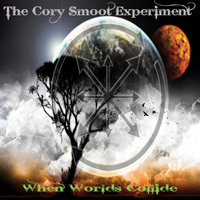 Cory went ahead and recorded the vocals himself and re-named the project “The Cory Smoot Experiment”, completing the entire package just before his final tour with GWAR in the fall of 2011. After his passing, GWAR and Metal Blade set up the Smoot Family Fund to help provide for Cory’s family. All proceeds from this album will be donated to this fund. When Worlds Collide is available at metalblade.com/smootfamilyfund – where fans can listen to samples from the album as well as donate to the Smoot Family Fund.